LSU (28-7) is ranked No. 15 in the final USA TODAY Coaches Poll for the 2018-19 season. The Tigers are the fourth highest SEC team in the poll behind Auburn, Kentucky, and Tennessee. No. 24 Cincinnati, No. 25 Marquette, No. 25 Utah State. Central Florida 79; Cincinnati 62; Murray State 39; Marquette 31; Washington 26; Baylor 21; Iowa 18; Utah State 14; UC Irvine 11; Oklahoma 11; Louisville 8; Liberty 8; Ohio State 7; Arizona State 6; Mississippi State 6; Seton Hall 6; Texas 2; Florida 2; Minnesota 2. Give or take a couple of spots, I have no problem with where LSU is ranked. Like it or not we all know these polls take into account program power/tradition as well as wins and losses. This helps us in football. Not so much in basketball. Plus, our season didn't end on the brightest of notes following the WW suspension, 2-2 with wins over Yale and Maryland. Dropped us from 10th to 15th. Auburn got robbed all the way around. The most worthless poll in sports, and the rankings reflect that. What a joke. Tennessee was eliminated in the same round as LSU and did not win a title. Kentucky lost one round further than LSU and did not win a title. Absolute joke. 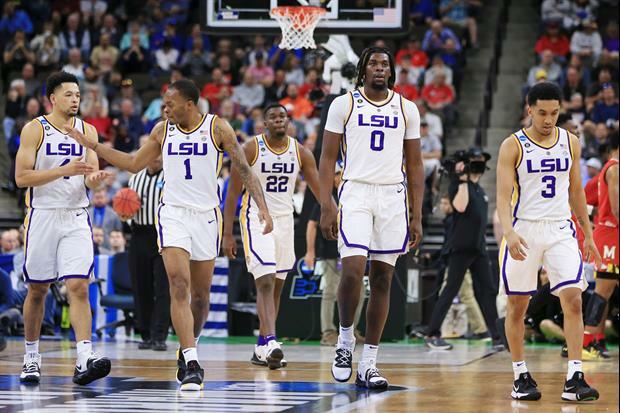 LSU won the regular sec season championship for goodness sake! I think about 10th would be fair. You have to love how Jay Williams and much of that espn crew was comparing Duke to NBA teams haha. I don't think an NBA team would have finished with 6 losses. How do you win the SEC and get ranked 4th in the SEC with wins over other 4 that's ranked higher and have the same win/loss record?